Baltimore's inner harbor is a great destination that, for a long time, only seemed to be lacking a great coffee joint. 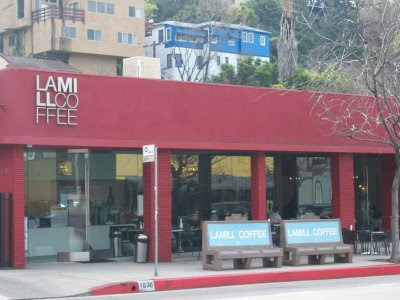 Thankfully, the harbor is now home to the first east coast location to La Mill Coffee, a Los Angeles blockbuster receiving all too many accolades for great coffee and great service. Keeping with their illustrious reputation, LA Mill managed to find a home in the Four Seasons right in downtown. Swinging by one lovely morning, I found the familiar La Mill sign not far from the hotel entrance. Walking in, I found a gorgeous open shared interior with the hotel tavern that was chock full of various seating, large windows and beautiful design. For my coffee, I ordered a pourover of a Guatemala and an espresso of their Bliss Espresso blend. The Guatemala pourover smacked of sugar cookie, sassafras, wheat, malt and nutmeg, proving sweet with a nice malty finish. The espresso, pulled short with a brown crema, tasted of herbs de Provence, cocoa, salt, milk, lemon rind, grapefruit and a little pepper. As I had hoped and longed for, this expansion of a westerly gem retained all of its luster. If you're downtown or around the harbor, stop by the Four Seasons for a great cup of coffee at La Mill. There is nothing like a nice warm respite in the warmer parts of the country in the dead of winter. But there is also nothing worse then getting there and finding it cold and rainy. Alas, my fate was somewhere between those two maxims in a recent trip to LA; warmish weather with spells of torrential rain. 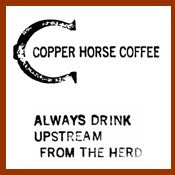 Fortunately I had some wonderful coffee prospects to keep my spirits soaring. One particular gem I've had my eye on for some time was a ritzy establishment called La Mill Coffee. It had developed a reputation for taking the coffee experience to new heights, with table service, exquisitely-skilled baristas and higher end products. Needless to say, I wasted no time in getting there. I arrived on a sunny morning, seeking parking on the crowded streets of Silver Lake. To my surprise, La Mill had it's own parking lot despite being on a crowded thoroughfare. Walking up to the front, the cafe stands out from the rest of the street with it's glaring red store front and beautiful windows. Inside the red continues into a well-decorated interior full of beautiful art, chandeliers and a large array of upscale dining areas. The coffee is their own, consisting of four coffees that day. I decided to try their Nicaraguan, brewed on their Clover. I usually am not visually affected when I first sip coffee, but this one made my eyes roll into the back of my head and caused me to take a deep breath. This coffee tasted like a smooth light roast and had distinct flavors of toasted nut and chocolate. The espresso was pulled really short and demonstrated similar amazing-ness; smacks of honey, super velvety texture and light acidity. The teas were free leaf and La Mill also offers what looks like a decadent full menu. On the whole, I left La Mill walking on air. I would say that this place needs to be a detour if you're visiting the area and a common hangout if you live nearby. I was thoroughly impressed with LaMill. What I found interesting was the different methods of brewing that were offered. From what I can remember on the menu was the Evasolo, which is much like the flavor of coffee cupping, siphon brewing (one of my favorites), French Press, and Clover. I am pleased to see a roaster, roasting coffees correctly. 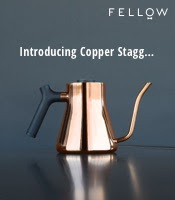 It seems they have chosen the best roast style for each origin. I haven't been a huge fan of Brazilian coffees until recently and decided try it out of the Evasolo, and was it tasty! Not to mention how incredible their Harrar was out of the siphon brewer. 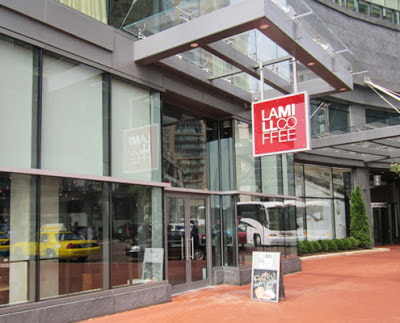 LaMill was more impressive to me than Intelligentsia who is just up the hill. Highly recommended.